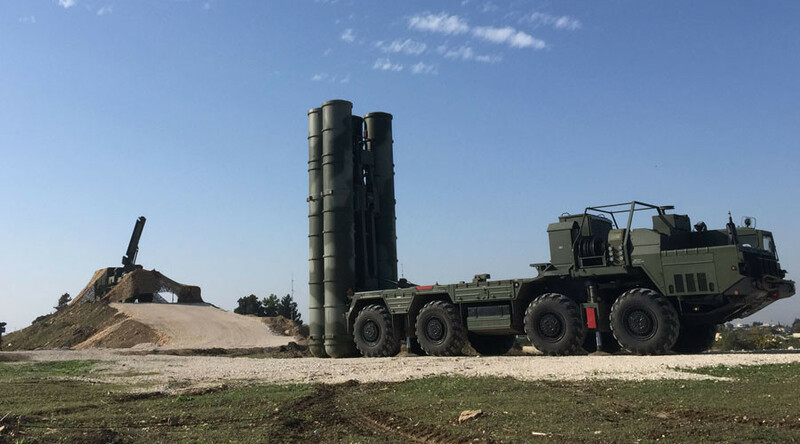 Moscow has deployed its newest S-400 air defense missile system to Khmeimim in Syria as part of a security boost following the downing of a Russian jet by Turkey earlier this week. “In accordance with the decision of the Supreme Commander of the Russian Armed Forces, today (on Monday) an S-400 air defense missile system has been promptly delivered, deployed and already began combat duty to provide cover for the area around the Russian Khmeimim air base in Syria,” General-Major Igor Konashenkov, Russia’s Ministry of Defense spokesman, said. Commenting on the decision, Russia's President Vladimir Putin said there was previously no need for such measures, because "no-one imagined the Russian aircraft could be in danger. Russia would've brought S-400s to Syria a long time ago to protect its warplanes, if it entertained the possibility of a traitorous backstab." Putin reiterated, however, that the S-400 systems are not targeting Russia's partners, "with whom we fight terrorists in Syria together." But the downing of the Russian Su-24 bomber by Turkey prompted Russia to “ensure the safety of our aircraft during their operations against IS [and] against terrorists LIH and other terrorist groups via more reliable means,” Defense Ministry spokesman Konahsenkov said in a media briefing. The S-400 is the most advanced anti-aircraft defense system in Russia, and is unparalleled in the world. It’s designed to ensure air defense using long- and medium-range missiles that can hit aerial targets, including tactical and strategic aircraft as well as ballistic and cruise missiles, at ranges of up to 400 kilometers. The system consists of a set of radars, missile launchers and command posts, and is operated solely by the Russian military. Earlier on Tuesday, the Russian Su-24 was shot down by a Turkish F-16 fighter jet near the Turkish-Syrian border. One Russian pilot was killed by Syrian rebels while parachuting, with the other one was rescued and delivered to Khmeimim airbase. Despite claims from Ankara, Moscow maintains that its jet, which crashed in Syria, didn’t violate Turkey's airspace. Shortly after the incident, the MoD announced three steps which were to be taken following the attack on the Russian Su-24 bomber, including the provision of aerial cover by fighter jets for every airstrike, the boosting of air defense by deploying guided missile cruisers off the Latakia coast, and suspending all military-to-military contacts with Turkey. Khmeimim airbase in Latakia, Syria, accommodates Russian Air Force squadrons of Su-27SM and Su-30 fighter jets, Su-34 and Su-24 tactical bombers, which are all taking part in airstrikes on Islamic State and other terror groups in the country. The airbase is protected by state-of-the-art air defense systems and radars. Khmeimim also has a fully operational unit for maintaining fixed- and rotor-wing aircraft and providing logistical assistance to pilots.